Special Note: Frenchy is also available in rooted colors at s slightly higher price-see separate listing under Frenchy. Frenchy by Tony of Beverly is a contemporary style with feathered, finged layers along the sides, a high swept back, and a sweep of long angled bangs. 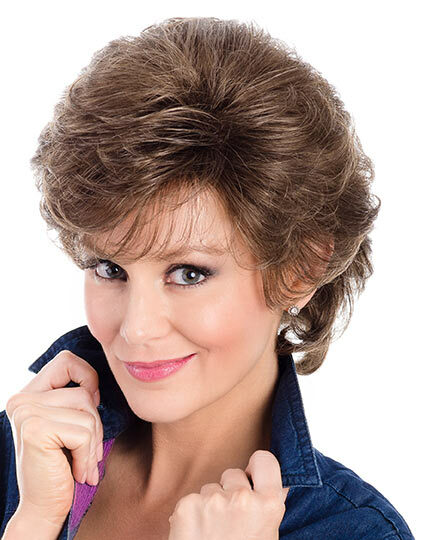 Tony of Beverly Frenchy wigs feature an exclusive blend of finer (lighter) denierSoftTouch fiber specifically used for "livelier" styles. 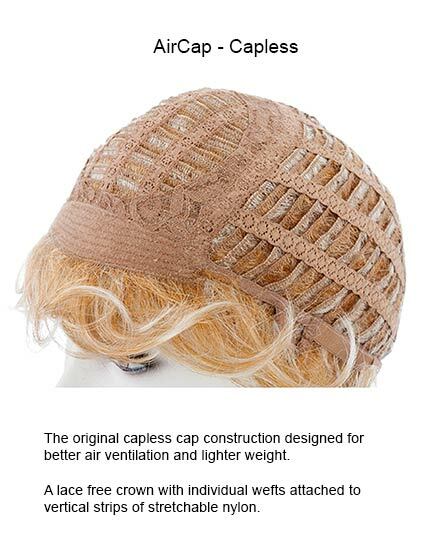 With an open cap AirCap construction and a lace free crown of individual wefts that are attached to vertical stripes of stretchy nylon, Frenchy provides better ventilation and a lighter weight for all day comfort. The second color shown of Frenchy is in Amber Velvet. 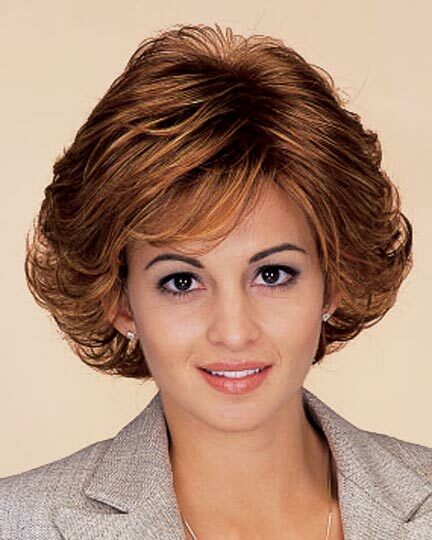 The Frenchy wig weighs 64grams. There are 2 colors available for this SPECIAL PRICE on Frenchy. 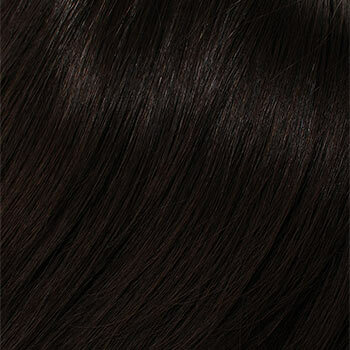 To Buy Frenchy, Click On A Small Swatch Below. 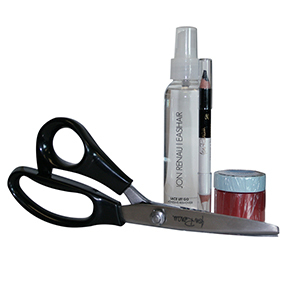 If you would like to discover other products that share some of Frenchy's qualities try the links below. 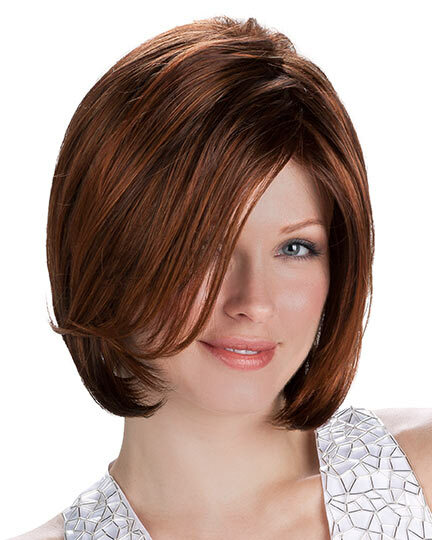 A quick shake is all it takes to style this amazing wig! 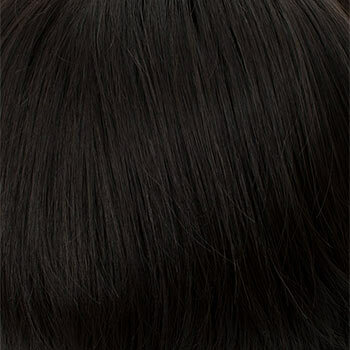 The wig fibers are very realistic with plenty of movement. I chose the Silverstone color and could not be happier! 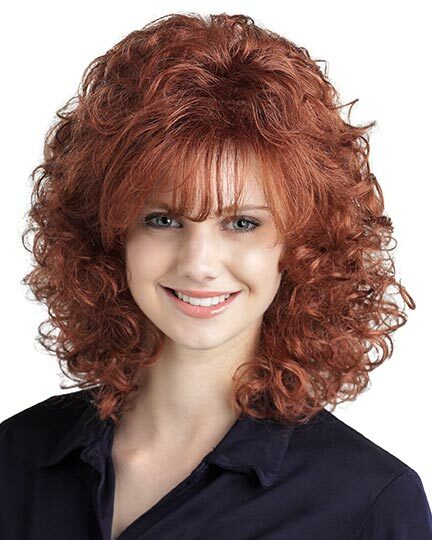 I would give this wig a 5 rating if it were just a bit longer at the nape. Shade darker than I wanted but still looks great!